Most directors have the tendency to oversell their films. But not Khairul Azri Md Noor. 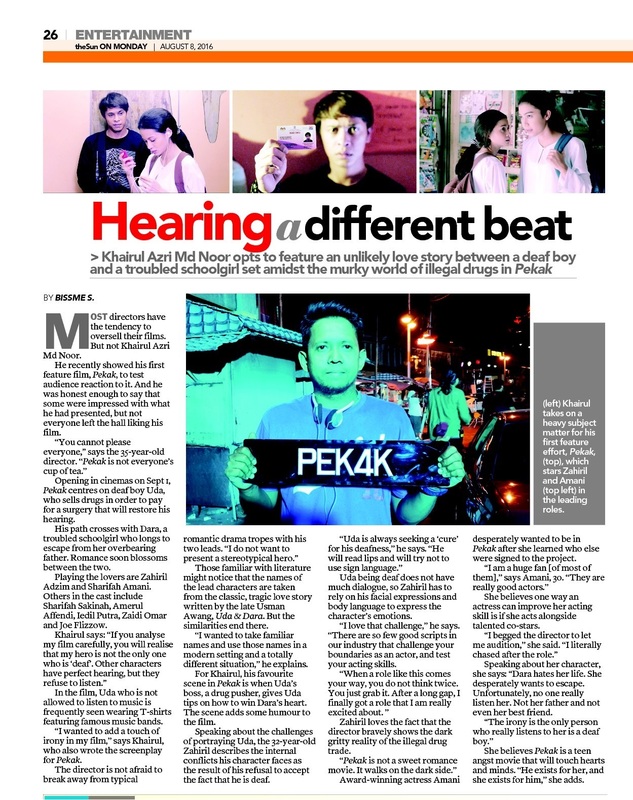 He recently showed his first feature film, Pekak, to test audience reaction to it. And he was honest enough to say that some were impressed with what he had presented, but not everyone left the hall liking his film. In the film, Uda who is not allowed to listen to music is frequently seen wearing T-shirts featuring famous music bands. 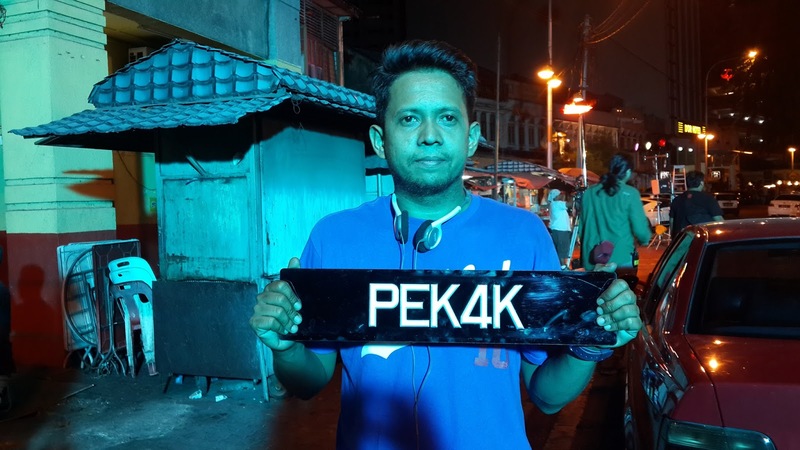 “I wanted to add a touch of irony in my film,” says Khairul, who also wrote the screenplay for Pekak. The director is not afraid to break away from typical romantic drama tropes with his two leads. Those familiar with literature might notice that the names of the lead characters are taken from the classic, tragic love story written by the late Usman Awang, Uda & Dara. But the similarities end there. “I wanted to take familiar names and use those names in a modern setting and a totally different situation,” he explains. For Khairul, his favourite scene in Pekak is when Uda’s boss, a drug pusher, gives Uda tips on how to win Dara’s heart. The scene adds some humour to the film. Speaking about the challenges of portraying Uda, the 32-year-old Zahiril describes the internal conflicts his character faces as the result of his refusal to accept the fact that he is deaf. "Uda is always seeking a ‘cure’ for his deafness,” he says. Uda being deaf does not have much dialogue, so Zahiril has to rely on his facial expressions and body language to express the character’s emotions. “I love that challenge,” he says. “There are so few good scripts in our industry that challenge your boundaries as an actor, and test your acting skills. When a role like this comes your way, you do not think twice. You just grab it. After a long gap, I finally got a role that I am really excited about. ” Zahiril loves the fact that the director bravely shows the dark gritty reality of the illegal drug trade. “Pekak is not a sweet romance movie. It walks on the dark side.” Award-winning actress Amani desperately wanted to be in Pekak after she learned who else were signed to the project. “I am a huge fan [of most of them],” says Amani, 30. “They are really good actors.” She believes one way an actress can improve her acting skill is if she acts alongside talented co-stars. “I begged the director to let me audition,” she said. She believes Pekak is a teen angst movie that will touch hearts and minds. “He exists for her, and she exists for him,” she adds. Labels: Khairul Azri Md Noor, Pekak, Zahiril Adzim Sharifah Amani. Merdeka! Merdeka ! Merdeka !